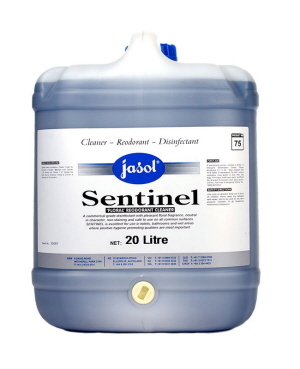 Jasol Sentinel Floral Reodorant Cleaner is a commercial grade disinfectant with pleasant floral fragrance. It is neutral in character, non-staining and safe to use on all common surfaces. 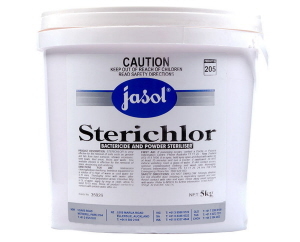 Jasol Sterichlor Bactericide and Powder Cleaner Sanitiser is a non reodorant, chlorinated, very effective in removing stains, grease and fats from hard surfaces, shower recesses, toilet bowls. 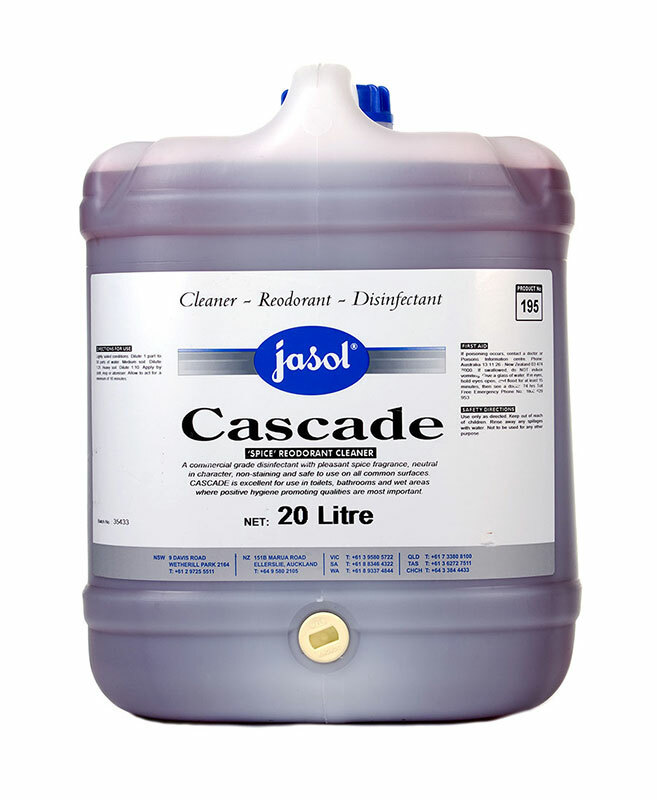 Stable chlorine residual for storage, excellent bedpan steriliser. 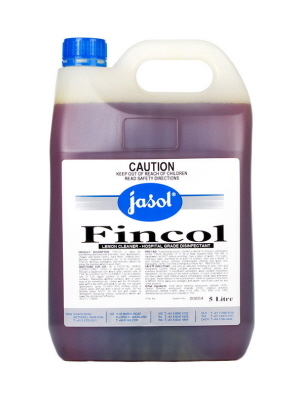 Jasol Fincol Lemon Cleaner and Hospital Grade Disinfectant is a specialied cleaning formula that is a lemon scented cleaner suitable for disinfecting and cleaning amenities, cells, shower rooms, washrooms and locker rooms, hard floors, rubbish bins, benches, telephone handsets, etc in all institutions. 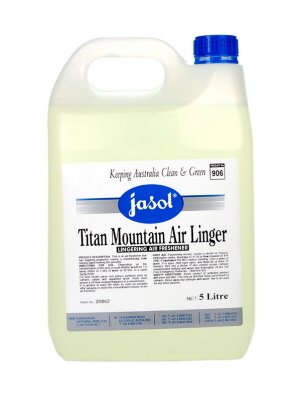 Jasol Titan Mountain Air - Linger is a scented cleaner reodorant, with strong residual effect and lingering properties having a revolutionary slow release agent making this possible.